On Monday, March 23rd and Tuesday the 24th, following my ministry and family trip to East Texas, I led a team from the Nightwatch here in Kansas City to Wichita, KS. An abortion doctor, George Tiller, was facing charges of illegal abortions. This man has been practicing abortions in Wichita since 1973–the year abortion was legalized. He is exceptionally wicked even having a priest on staff to baptize the aborted babies. Many in the Pro-LIFE movement have been fighting for years to see his clinic shut down. Finding this fight to be very critical, some Nightwatch staff approached me about going to Wichita to pray. I was reluctant knowing that I would be exhausted from my ministry trip. However, I couldn’t resist their zeal to stand for LIFE, so I agreed. I am glad I did! We encountered Jesus’ heart deeply on our two-day trip. The team began at 3 pm on Monday. I joined them a little later at 6 pm driving up from Texas. 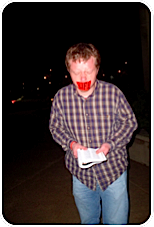 We stood praying in silence in front of the courthouse until 10 pm with LIFE tape over our mouths so late that we were before no one but the Lord. Afterwards, we took communion. From the courthouse, we went to the Wichita Harvest House of Prayer, a small house of prayer tracking closely with us at IHOP-KC. 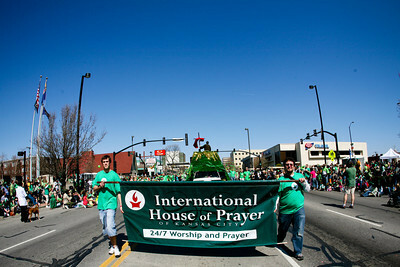 We prayed and worshiped with a few of the Wichita House of Prayer staff members until I collapsed at 2 am. It was a powerful time of intercession. 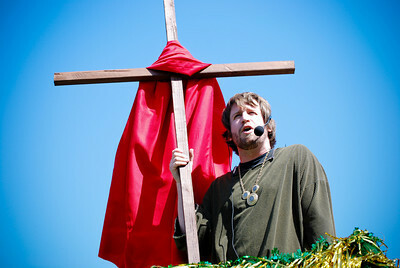 At one point, we hit the theme of the resurrection of Jesus. I declared over the city that death will not prevail and that Jesus’ LIFE will overcome. We also cried out for George Tiller’s salvation. The next day we woke up and headed to the courthouse at 3 pm and prayed in silence. Several people from the city joined us in prayer. Still others walked past us ridiculing and criticizing us. We kept the tape on knowing that our prayers were shifting the heavens. We had to leave around 8:15 pm to head back to pray in Kansas City. Today, I received the disappointing news that the jury pronounced George Tiller “not guilty” even after he all but confessed his guilt from the witness stand Wednesday. It is unbelievable that a jury would not convict this profound wickedness. It is a sign of the deep depravity of our nation. We have determined to do what we want to do even killing our own children. I fear for our nation’s future. On my drive to Wichita about 15 miles from the city, I stopped to see the beauty of the rainbow above. Our only hope is that God’s mercy will send another great awakening to our nation turning this wickedness around. 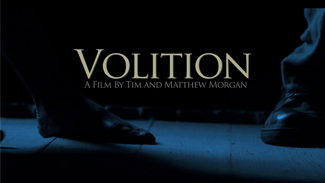 A new short movie has just been debuted about abortion called Volition. It is very dramatic and well made. You can watch the film for free at this web site. 50-100 people prayed with us to receive Christ.